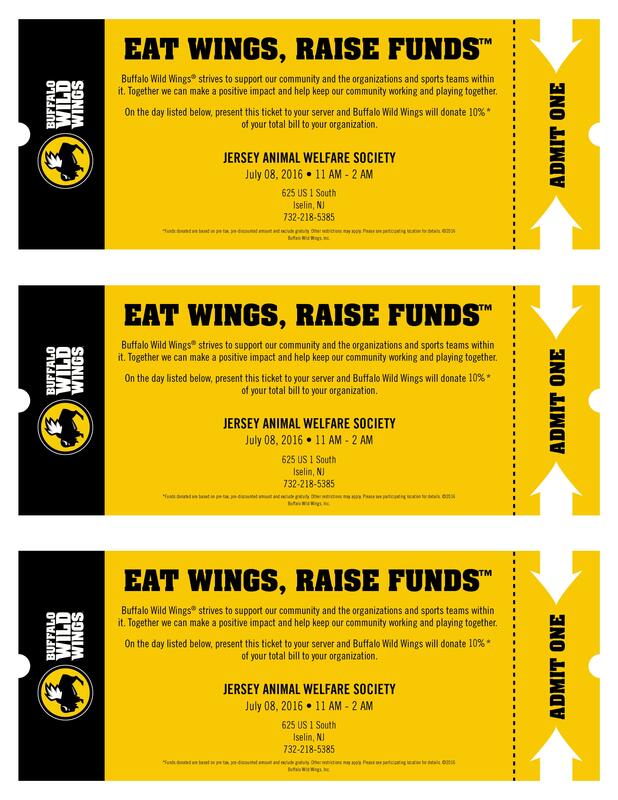 We are excited to partner up with Buffalo Wild Wings to raise funds for our local rescue partners! If you are looking for a fun night out with friends – a place to grab dinner with the kids, then join us for a great time for a great cause! Jersey Animal Welfare Society will earn 10% of your total bill which we will use to help homeless animals! Please print the ticket below to bring with you!